Software giants TCS and Infosys have published March-quarter earnings. While Tata Consultancy Services' (TCS) results beat analysts' estimates on all parameters, Infosys disappointed on the margin guidance front. Therefore, it comes as no surprise that investors gave a thumbs-up to TCS shares, which jumped 6.55 percent to Rs 3,400 in morning trade on Friday on the BSE. TCS announced its fourth-quarter results after market hours on Thursday. It posted a smart rise, both in its revenue and net profit. In contrast, shares of Infosys lost some six percent in morning trade on Monday (16 April) as investors reacted to the company’s March quarter results, particularly its margin guidance. 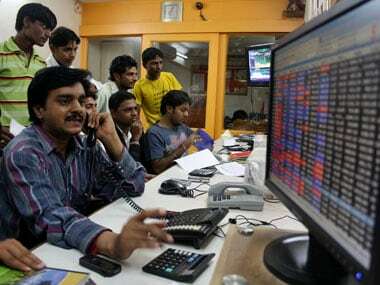 The scrip fell to an intraday low of Rs 1,099 on the BSE against its previous close of Rs 1,169, but recouped some losses to end the day with just a three percent fall. Post market hours, on Friday (13 April), Infosys, India’s second-largest IT company, reported a 28 percent sequential fall in March quarter net profit to Rs 3,690 crore, in line with analysts' expectations. The sequential drop in fourth-quarter profit was because the third-quarter included a $225 million positive impact coming from the conclusion of an advance pricing agreement (APA) with the US Internal Revenue Service (IRS). 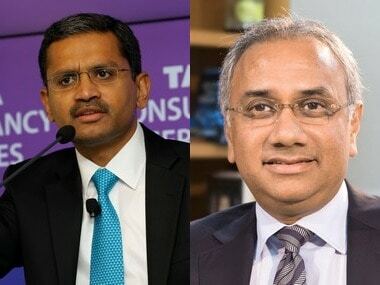 Commenting on the robust March quarter performance, TCS CEO and MD Rajesh Gopinathan said, “Strong demand in digital across all industry verticals and large transformational deal wins have made this one of our best fourth quarters in recent years. The strong exit allows us to start the new fiscal on a confident note”. TCS' digital revenue accounted for 23.8 percent of the total pie, up 42.8 percent on a year-on-year basis. Strong deal wins and a good pipeline position TCS very well in the new fiscal, Chief Operating Officer and ED N Ganapathy Subramaniam added. "We are progressing towards stability and are well positioned to serve our clients in the new areas of demand” he added. “Increased adoption of our digital offerings and new services helped stabilize price realization. We were able to grow client relationships across revenue categories.” said Infosys COO Pravin Rao. “During the quarter, we provided compensation increases and higher variable payouts to our employees. Our investments in employees continues to deliver results as reflected in lower attrition,” he added. March-quarter revenue for both TCS and Infosys was the highest over the past 16 quarters, for which Firstpost has data. 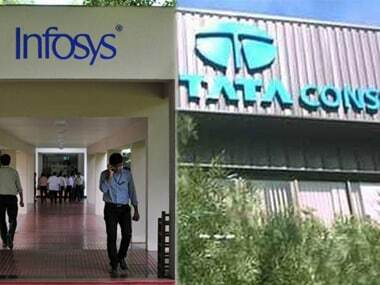 While TCS reported a revenue of Rs 32,075 crore, Infosys had a revenue of Rs 18,083 crore. On a quarter-on-quarter basis, TCS' clocked a revenue growth of 3.8 percent in the March quarter, which was the highest over the past eight quarters. Infosys had a revenue growth of 1.6 percent, a tad higher compared with the December quarter. On the net profit front, TCS's net profit of Rs 6,904 crore for the March quarter was the highest over the past 16 quarters for which Firstpost has data. 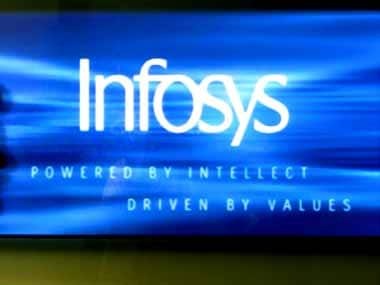 Infosys reported a lower net profit of Rs 3,690 crore in the March quarter as against Rs 5,129 crore in the December quarter. TCS had a net profit growth of 5.7 percent in the March quarter, the best in two quarters. Infosys reported a decline of 28.1 percent in net profit growth, its worst performance in 16 quarters. On the operating profit margin front, both companies managed to improve their performance. While TCS's operating profit margin rose to 25.4 percent in the March quarter from 25.2 in the December quarter, Infosys' profit margin rose to 24.7 percent from 24.3 percent earlier. TCS managed to arrest a rise in its attrition rate which stood at 11.8 percent in the March quarter as against 11.9 percent in the December quarter. But Infosys was not that lucky as its attrition rate has gone up to 19.5 percent in the March quarter from 18.7 percent in the December quarter. While both software majors reported a record revenue in fiscal 2018, their revenue growth was still in single digits. TCS logged an annual revenue of Rs 1,23,104 crore and a growth of 4.4 percent. On the other hand, Infosys logged a revenue of Rs 70,522 crore and a growth of three percent. In dollar terms, TCS' revenue grew by 8.6 percent to $19.1 billion in fiscal 2018 while Infosys' revenue rose by 7.2 percent to $10.9 billion. TCS' net profit declined marginally (1.8 percent) to Rs 25,826 crore, its worst performance in at least eight years for which Firstpost has data. Infosys reported a modest 11.7 percent rise in annual net profit to Rs 16,029 crore, its best performance over the past three years. In dollar terms, TCS' profit grew by 2.2 percent to $4 billion in fiscal 2018. Infosys logged a smart rise of 16.2 percent to $2.5 billion. Looking at the numbers, TCS has clearly emerged as the winner now, and Infosys has to do a lot more if it wants to remain in competition.